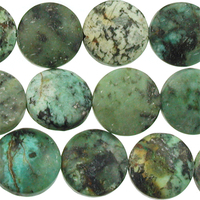 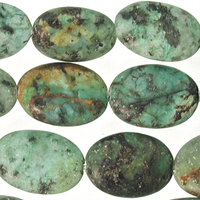 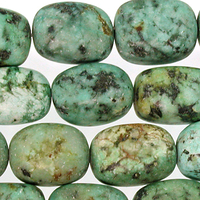 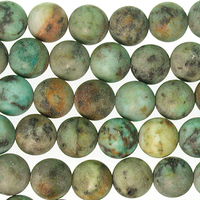 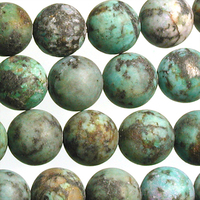 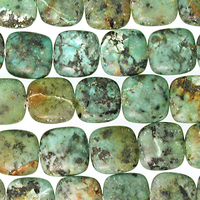 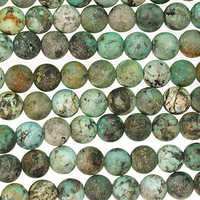 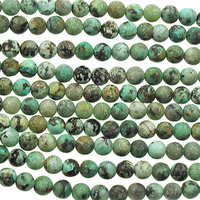 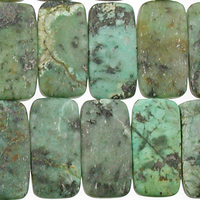 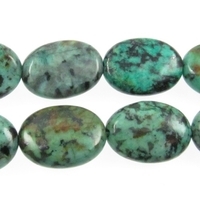 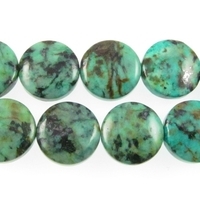 African Turquoise is mined in Africa and is actually a type of spotted teal jasper rather than turquoise. 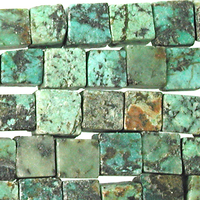 It is given its industry name because the matrix structure and shade is similar to that of turquoise being light bluish-green. 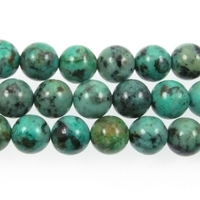 Our selection includes both matte and shiny finished beads. 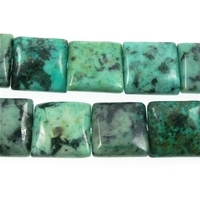 Some spiritualists believe that African Turquoise will attract money to the wearer.